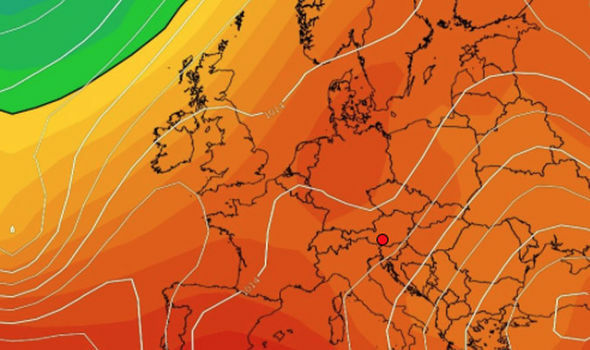 Britain has been predicted to experience its driest summer in 225 years this week, the temperature is expected to go up to 101F (38C) and health warnings have been issued, Daily Mail is reporting. According to Daily Mail, The Met Office with Public Health England (PHE) have issued a level-2 heat health watch alert, warning people to stay indoors, close their curtains and keep their windows shut. Health services also believe that there will be a surge in the number of people suffering from sun stroke. “This week will bring another period of very hot weather particularly across the south of the country where we could see temperatures approaching the mid 30Cs by the middle part of the week. “Temperatures will remain well above average elsewhere despite some occasional showers and some cloud cover in northern and western areas. “This weather pattern is likely to stick around into August especially across the south and southeast where it is looking very warm though the forecast period. “As always with this type of set-up and heat some developing thunderstorms could also become an issue towards the end of next week and into next weekend. Woohoooo! It feels so unusual but sooooo good. Hmmm…38 is small compared to the 40 we’ve been experiencing. Seems to be a very hot summer everywhere. Even the breeze at night feels humid. Take care, folks!